George Frideric Handel's Ariodante, the neglected musical masterpiece, has hit the stage at the Four Seasons Centre for the Performing Arts. Do you need a quick introduction or a refresher course on some key concepts and facts? Here are 10 Things to Know before you go! What she's doing with us: British lyric mezzo-soprano Alice Coote is playing the title role in Handel's Ariodante with us this fall. Although this opera is not performed as much as other Handel works, Alice is no stranger to this role and we are excited to have her back on our stage! 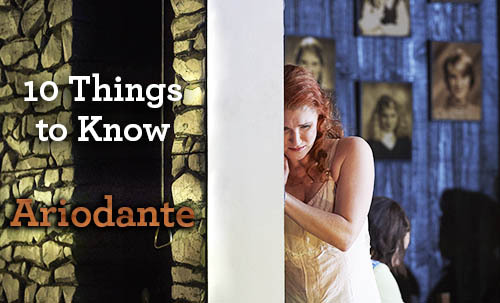 For more information on our production of Ariodante, click here. Where you might have seen her: Alice has been seen on our stage twice before. 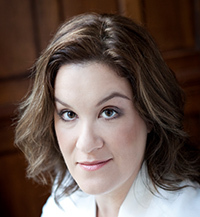 Her COC debut came in 2011 when she played the role of the Composer in Strauss' Ariadne auf Naxos. In 2014 she returned to sing the role of Dejanira in Handel's Hercules to great acclaim. Beyond the COC's stage she has a wildly successful career, well established as one of the most sought after singers in the world. The Royal Opera House, the English National Opera, Opéra de Paris, the Vienna State Opera, the Metropolitan Opera, the San Francisco Opera, and the Lyric Opera of Chicago are just a handful of the many companies with which Alice has performed.